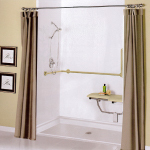 Upgrade your bathroom with a new tub or shower installation. 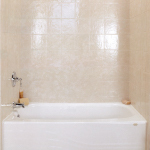 Restore the appearance of an old tub or shower with our refinishing services. Create a beautiful design for your bathroom with tub and shower surrounds. Bathtub liners give you the look of a new tub without needing to replace the old one. Klein Bath Systems provides expert bathtub and tile refinishing to give you a bathroom that looks and feels new without the mess and expense of a total tear-out and remodel. We use innovative methods to provide you with a guaranteed affordable, long-lasting makeover for your worn-out, damaged, ugly, or hard-to-clean tub and tile. As your expert bathtub refinisher, you can rest assured that your job will be completed by a trained, experienced professional. Contact us today to request a free consultation and estimate! 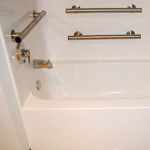 We provide bathtub refinishing solutions to customers in Meadville, Conneaut, Dunkirk, Geneva, Fredonia, North East, Edinboro and many surrounding areas. Call us at 1-814-456-5605 to schedule your free inspection and quote today!